Unintended Consequences . 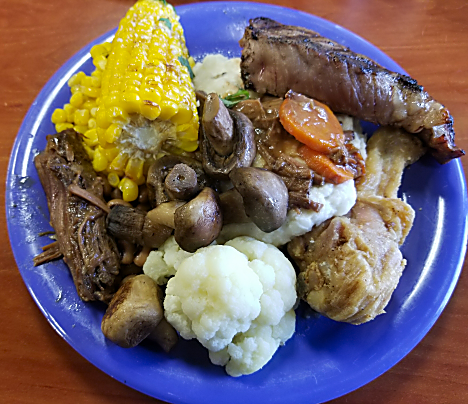 . .
We headed out about 4:15 to first eat at the Golden Corral down on i-45. Jan had been ‘jonsing’ for some fried chicken, and GC has some of the best. I like the fact that I can get a little of everything. Afterwards we looped back around to the Home Depot so I could pick up some Plexiglass sheets to construct the air deflector for our rig’s AC cover. Hopefully it will redirect the airflow over the AC so it cools better while we’re on the road. Then it was a quick stopover at the Kroger’s for a few things and then home. Recently I’ve been thinking about unintended consequences and their effect on our lives. And what happens when they backfire. You know, like in British Colonial India when the government started offering a bounty for dead cobras, hoping to reduce the deadly population. For a while it worked . . . until people started breeding cobras so they could turn them in for the reward. Then when the government scrapped the program, all of the now-worthless cobras were released, resulting in more cobras in the wild than they were to start with. Or when in1859 an Australian imported 24 wild rabbits from England and released them into the countryside so he could hunt them. But apparently they could make new bunnies faster than he could shoot them, because by the 1920’s, less than 70 years later the population was estimated to be over 10 billion. That’s BILLION, with a B. By the 1890’s they had devastated over 2.5 million acres of Australia. Today, due to heavy eradication efforts, the rabbit population numbers around 200 million. Another example, as I mentioned in my Trinity Site blog post the other day, are the Oryx antelope that were imported to the White Sand area of New Mexico in the late 70’s. The original 93 have grown to over 5000, more than there in the Kalahari desert where they came from. And since they have no natural predators (lions) here, they too are tuning into real pests. Going back in history, those of you close to my age probably remember ‘freak’ shows at the traveling carnivals that came to town.Every carnival had one, or sometimes two. That way they could charge you twice. Modern freak shows really originated with P.T. 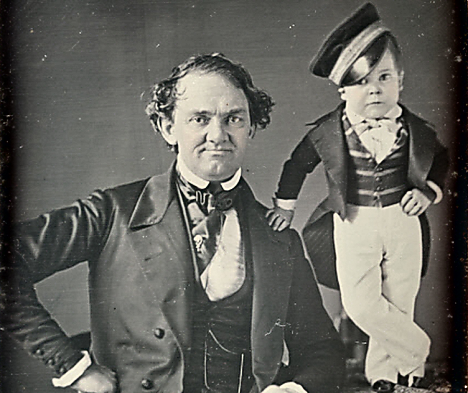 Barnum in the 1840’s when he introduced Gen. Tom Thumb to the public. Tom, aka Charles Stratton, who ironically was a distant cousin of Barnum’s, became very wealthy over the years, making as much as $4000 a week in today’s dollars. 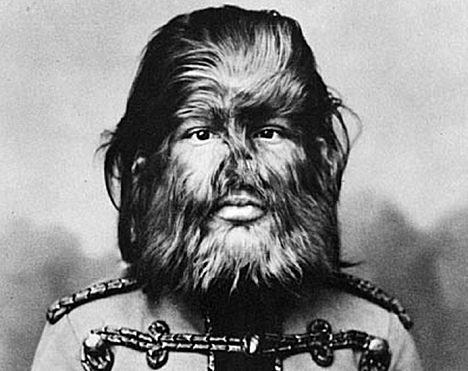 Or how about The Dog-Faced Boy, who during the 1880’s was making the equivalent of $13,000 a week. In more modern times they even had their own town in Florida. Gibsonton, about 20 minutes south of Tampa was home to hundreds of freak show performers who lived there when they weren’t traveling. They lived in very nice houses, drove Cadillac’s, and had a nice lives. At least until the 50’s – 70’s when do-gooder’s took it all away. Citing ‘discrimination’ and ‘exploitation of the disabled’, they got laws passed restricting the shows, and then shutting them down, apparently to save them from themselves. And as a result, many ‘freaks’, who previously had nice lives and incomes, died in destitution, in some cases, while living on the streets. Or how about Lady Bird Johnson’s Highway Beautification Act. Take down all the billboards and other forms of outdoor advertising along our Interstates, giving us pristine views of green, rolling hills and landscapes. What could be wrong with that? Well, nothing, unless you were a billboard company that went out of business and had to lay off all your employees, or a landowner whose main income was from the billboards erected on their land. And it wasn’t much better for the travelers. Was there a gas station at this exit, or a motel? Or maybe at the next one? This is why we now have those signs at the exits listing food, lodging, and gas available at each exit. So we went from a billboard or two 50 yards right off the highway, to one or more right in our face at the exit. Not exactly a big improvement. I’ll continue this topic tomorrow, with more current examples. Stay tuned. Be careful what you wish for. You might just get it.